Today we went to a family wedding! Ethan was very well behaved during the ceremony, and lucky Ethan was given a fun bag of treats to keep him occupied during dinner. He also got to sit with some of his second cousins, who also kept him entertained. 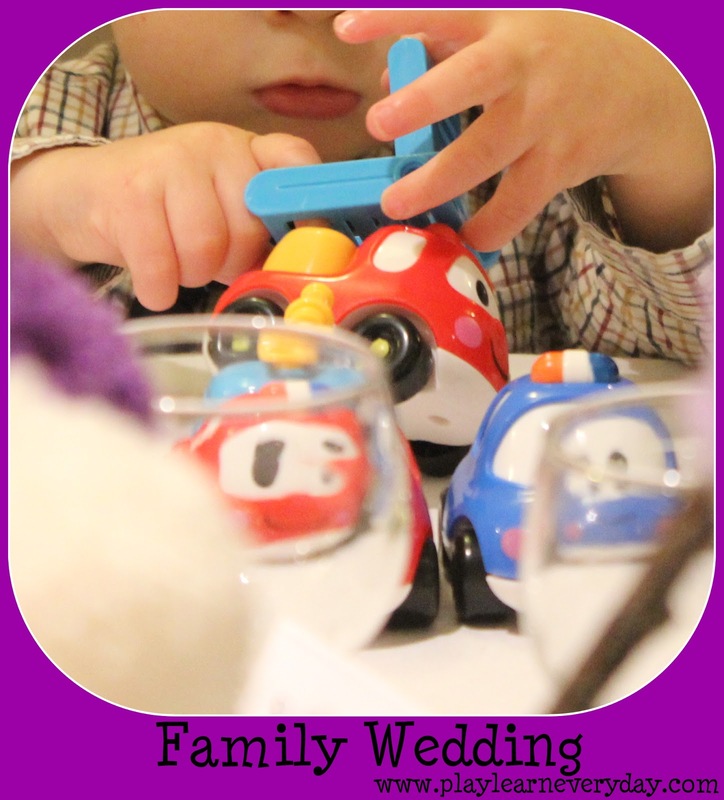 Weddings are great for his Personal, Social and Emotional Development as he learns about family, traditions and appropriate behaviour at formal occasions.